Interviews with ... Anthony Cartwright, Raphael Selbourne, Catherine Banner. 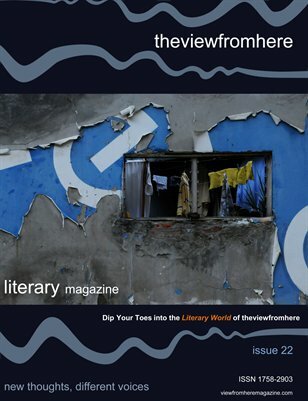 Original Fiction at thefrontview by: Laura Solomon, Jennifer Dworschack-Kinter, Brendan Moore. Original Poetry at therearview by: Dorothy Burris, Ellen Orner, Christine Delea, John Grey, Joshua Jones. Original Short Fiction by Kathleen Maher. Book Review of: The Blasphemer by Nigel Farndale.